Advertisements used to pop-up and bombard your screen as you surfed the internet. Now, they’re smarter about it. As more and more people have discovered pop-up blockers, advertisers now embed their ads into the site you’re on and collect data from the websites you visit. For example, Wayne shops on Amazon.com for health supplements. In almost Minority Report-like fashion, an ad is displayed on the next website he visits; but what’s creepy about it is that it’s for the exact same supplement he had been previously been looking at. This is the world of targeted advertising through hidden trackers. Most of the websites you visit each day have anywhere from 2 to 30 tracking scripts on them, most of which hide in the background of the site. I personally had never noticed this myself until I stumbled upon Ghostery. Ghostery is a free downloadable browser extension that allows you to see which companies are tracking you (“Trackers”) on any given website. Essentially what Ghostery does for you is it gives you more internet privacy and the power to choose which trackers you’ll allow and which you won’t. Some trackers are essential for the functionality of a site, such as a comments section, but others are used solely for the purpose of targeted advertising. For example, many news sites use a tracker called “Disqus”, which our site currently uses. If you decide to disable/block this tracker, it will remove the functionality of the comment section. However, if you want to pause the blocking of a specific tracker, you can easily enable it with one click. 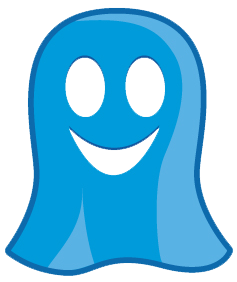 Ghostery is available for Firefox, Chrome, Safari, Opera, Internet Explorer, and iOS. We highly recommend you check it out, as it’s a great step in the right direction for internet privacy and a cleaner platform for surfing the web. For more information on Ghostery, check out https://www.ghostery.com. And if you download, opt out of “GhostRank” so your data is not collected.